Techcrunch, AP: Chinese AI startup Watrix has recently raised $14.5m to further develop its gait recognition technology that is supposed to complement a face recognition in security and surveillance cameras. The technology is already being used by police in Beijing and Shanghai where it can identify individuals even when their face is obscured or their back is turned. 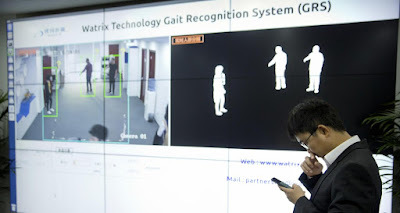 Huang Yongzhen, the CEO of Watrix, said that its system can identify people from up to 50 meters away, even with their back turned or face covered. This can fill a gap in facial recognition, which needs close-up, high-resolution images of a person’s face to work.